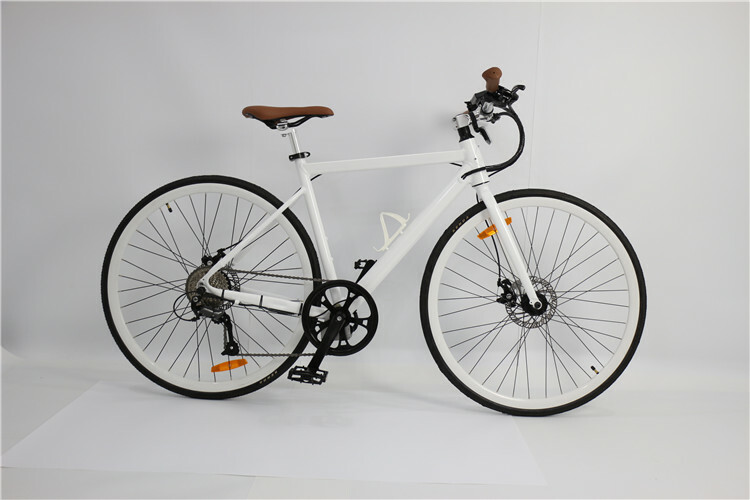 The road e bike A6-R with 24V250W brushless motor and 24V10AH Lithium battery, max speed ups to 25 km/h, max range ups to 60-100km. 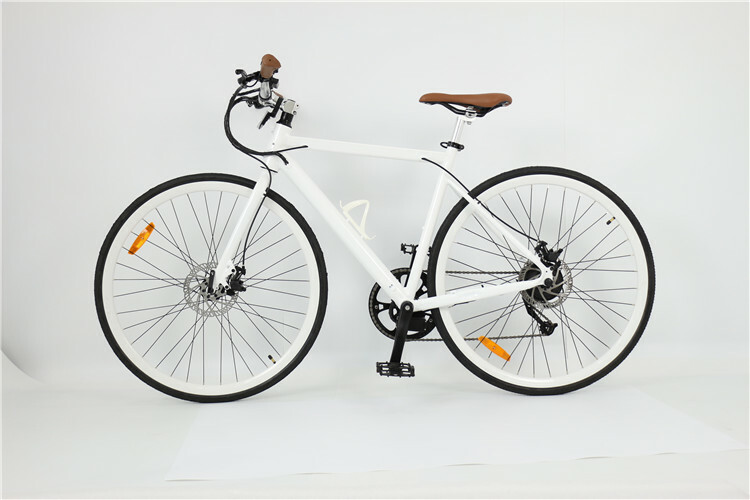 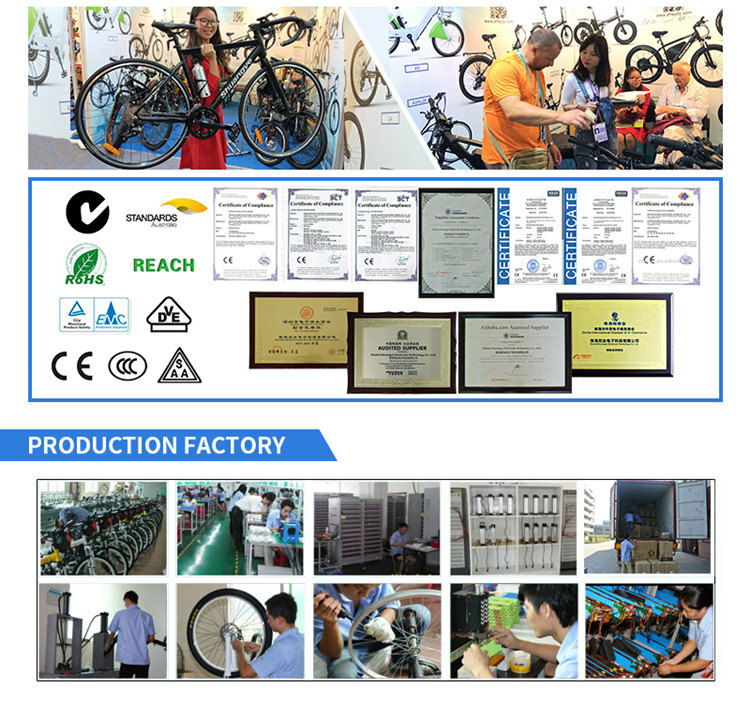 The aluminum alloy frame makes the road e bike more strong, lithium battery and cables are put into the frame, make the road e bike more beautiful. 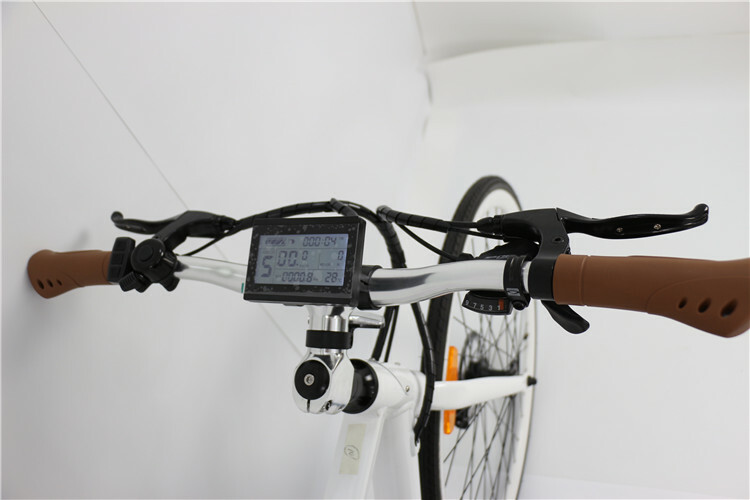 Also the front reflector makes your riding more safe. 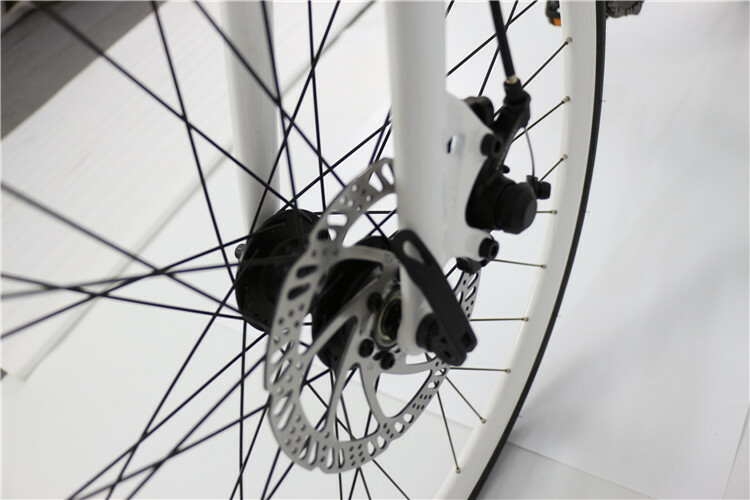 Provide with 7/9/21/27 speed gear with derailleur, it is also very light-hearted without electric. 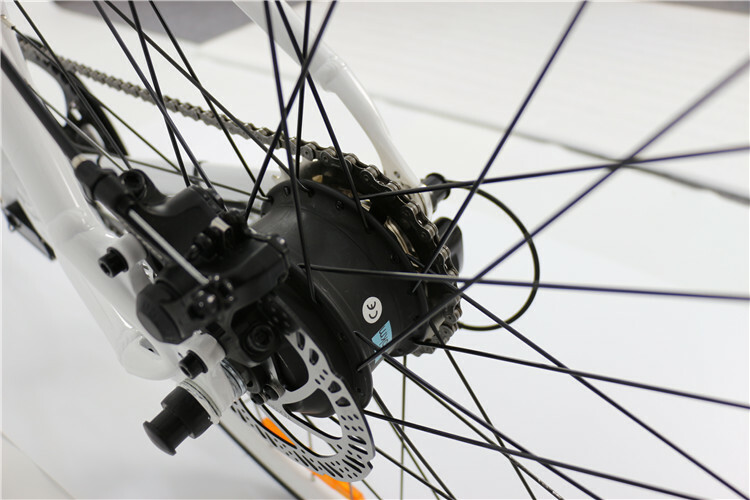 According different road condition, such as flat, uphill, downhill, you can adjust different gear speed. 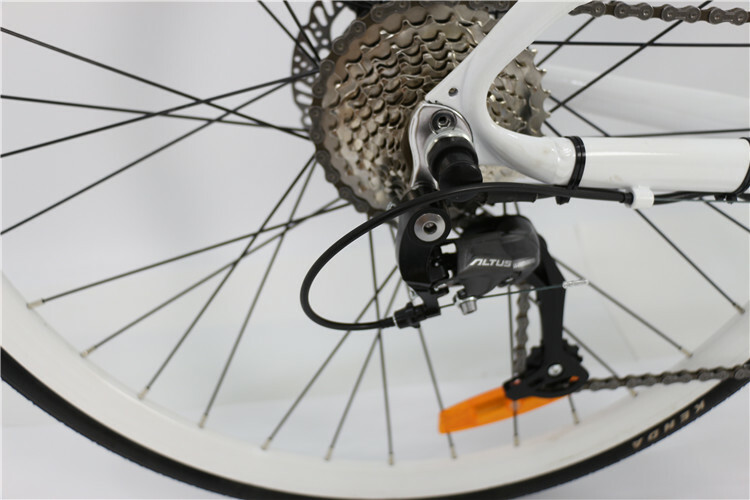 Reduce leg strength, so that the driver’s legs will not fatigue quickly.